I closed the previous post with a checklist of items to take with you when traveling by plane. I think it is worth discussing some of these items in a little more detail. The Ten Things You Should Never Leave Home Without: This is a given. Whenever you leave home, you don’t want to be without these items. This is especially true for any trip that requires air travel. For example, you definitely don’t want to be staying in an unfamiliar place without a flashlight with you when the lights go out. A couple of these items (Swiss Army knife/multi-tool and Res-Q-Me/vehicle escape tool) need to go in your checked baggage; the rest are best carried in your carry on bag so you have them at hand. I also usually pack my stainless steel water container in my checked baggage, although you can take them as carry on as long as they are empty when you go through security. Backup Photo ID – as discussed in the previous post, personally, I carry my passport when I travel as a second ID and in case I need to travel overseas unexpectedly for professional or personal reasons. This comes up often in my field. I recall working with someone a few years ago who lived in Minnesota but was on a personal family vacation to Texas when the Ica earthquake in Peru struck. A decision was made to send him to Peru to assist in the response. Poor fellow was late arriving two days because he had to fly back home to collect his passport before being able to depart for Peru. In the disaster and emergency response business, days can definitely mean lives. So personally, my passport is always at hand when I travel. And if you live or are traveling anywhere near a US border, you might elect to evacuate (or be evacuated) from a disaster into a neighboring country. But in any event, having a second photo ID card, carried somewhere other than where your primary photo ID is carried (your wallet) is prudent in case your wallet is lost, stolen or misplaced. A full change of clothes in your carry on bag – I promise you will never regret having the ability to change your clothes before your reach your destination and retrieve the rest of your clothes from your checked luggage. Have you ever spilled a drink (or had one spilled) all over yourself on an airplane? Or worst case: Have you ever had your kid (or someone else’s) throw up in your lap? This is all foreseeable. And if your checked luggage does not show, you will have a clean change of clothes with you until it does or you can replace it. I always travel in what I call my traveling outfit. I don’t find travel a good way to keep myself or my clothes clean and presentable. Airplanes are hot before they take off; and cold afterwards; cabs and other forms of public transportation taken to and from the airport are often dirty. Airports themselves are often dirty – especially baggage claim areas. It is hard to eat and drink on flights without spilling a bit on yourself – especially in cramped coach seats. So by carrying on a clean set of clothes in my carry on bag, I am assured of being able to change out of the soiled-on-arrival traveling outfit into something more presentable, even if my checked baggage is lost or delayed in arriving. A Pack Towel in your carry on bag – I must admit that I first got the idea to always pack a towel in my carry on bag from Douglas Adams’ The Hitchhikers Guide to the Galaxy. But it was a good idea. A towel, like an empty bag, has literally hundreds of uses – especially while traveling. It can be used to help wipe up those nasty spilled drinks that fall onto your lap. It can be used to provide a clean place to sit. It can be used to dry your hands if the airplane restroom runs out of paper towels. It can be used to dry your body if you need to wash more than just your hands (see spills, vomit, etc.). It can be used to help staunch bleeding in the event of an accident. A good pack towel almost deserves to make the list of things you should never leave home without! And by a pack towel, I mean one that is designed for camping or travel – is quick drying, folds up small. 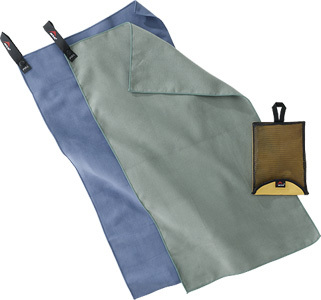 The one I carry is an MSR microfiber Packtowl Personal made of polyester and nylon and comes in a convenient pouch. 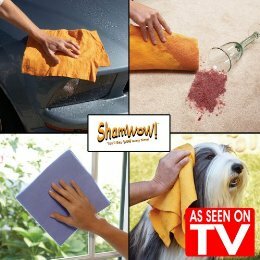 I am also a huge fan of the As Seen on TV ShamWow and typically pack a large and small one in my bag as well. An Extra Empty Bag – We start from the premise that you should always have an empty bag with you. But when you travel, you should bring an extra empty bag with you – something to serve as a day bag for excursions that you put things in that you want to take with you (camera, extra clothing, towel, etc.). When we travel, we carry more with us when we go out because we are not at home and often do not have access to our things that we are used to having around us. So we need a bag to carry these things in – and this is usually distinct from the bags that we pack in. But once we put things in a bag, it is no longer an empty bag… so we need to remember to take two empty bags when we travel. A backpack is perfect for this purpose. So one of our empty bags that we take when we travel should be a backpack. The one I take with me is one of the Lands End foldable backpacks. My second bag is either an eco-tote or a kivu keychain backpack. Medications and Prescription Drugs for the duration of travel plus at least one day – like clothing, packing medications and prescription drugs that you take regularly is something that you obviously need to pack. I always try to bring with me at least one day’s extra supply, because you never know when you might miss a flight, or find your flight – the last of the day – cancelled. It might be wiser to bring even more with you in case you have to delay your return home for longer, but I’m not prepared to set this as a rule. If your return home is delayed for any reason more than a day, it is likely you will have the time to visit a local drug store and get your medications or prescriptions refilled as needed. But having one or two extra days with you allows you to be prepared for these simple delays without causing you to miss a regular dose or having to make an extraordinary trip to a pharmacy. Thus ends this second part of Traveling Prepared that focuses on travel by air. The third part will focus on travel by car. I have been doing a lot of traveling the past few months, both by plane and automobile and I’ve found that each poses different challenges to Living Prepared™. And I’ve been on different kinds of trips – from simple business trips (powerpoint and projector in hand) to disaster response exercises in semi-austere environments to a family camping vacation. I thought it would be a good time to review some lessons learned from these experiences and to see how I am measuring up to the standards of this blog. Airline travel poses significant challenges – especially if you are carrying on all of your baggage – to keeping the 10-12 items you should not leave home without with you – because of airport security. I’ve gone on a couple of day-trips or quick overnights and haven’t needed to check any baggage – actually, I didn’t want to check any baggage because of the additional time (and expense) it takes to check domestic baggage. And there are some items on the list of items you shouldn’t leave home without that aren’t going to (or shouldn’t) make it through the TSA security checkpoints – namely a Swiss Army knife/multi-tool and the vehicle escape tool. I lost one of my Res-Q-Me’s that I have perpetually attached to my key chain at one checkpoint. I forgot to take it off my key chain and leave it at home and the TSA screener asked what it was when I emptied my pockets and placed my keys in a bin was going through security. Odd thing… I had to stop and explain to him what the device was and that he should confiscate it from me – both because of the blade (though shielded, it could easily be taken apart to become a weapon) – and the window shattering punch – which – although I don’t know whether it would break an airplane window – I would not want to find out. He somewhat remained unconvinced, but I reassured him that he should indeed put it in the bin of confiscated items and that I wasn’t worried about it as it was only a $10 item and I had others at home. Second odd thing – on two other occasions, I have successfully gone through security with a Res-Q-Me on my key chain, which I put in my carry on bag to go through screening (including, at this very moment! Yikes! I promise to put it in my checked bag on the way home from this trip). I don’t want to comment further on the state of screening at the nation’s airports, nor do I intend to continue to test these procedures informally or unintentionally. But I hate being without my Swiss Army knife especially when away from home; I find that I still use it daily for both the mundane and creative tasks. I have seen mailers at airports such that you can mail yourself items that you can’t carry on a flight. This is a great solution if you plan to be somewhere for several days and don’t want to check a bag. But personally, I have actually become a great fan of checking one bag – especially if I have a connection to make. This allows me to take with me all those items that I can’t carry on – Swiss Army knife, Res-Q-Me (when I remember to stick it in there), a decent bottle of hand sanitizer, and depending on the purpose of the trip, some other tools that are prohibited from carry on baggage (more to follow). This also avoids having to lumber around the airport and on and off planes with bulky luggage. When flying, let’s start with these premise: you will always have a carry on bag, and in that carryon bag should be not only things you need/want with you on the flight (books, snacks, iPod), but also everything that you can’t afford to be at your destination without. This actually should not be a long list. I’ve had a couple of experiences with lost checked luggage and have learned a lot from them. Let me share those with you. Just over 10 years ago, I was working as the emergency communications officer for UNICEF, based at UNICEF’s global headquarters in New York. I was part of a team of instructors who were going to be training 100 UNICEF staff from around the world to be a part of their rapid response team – ready to respond to humanitarian disasters wherever and whenever they took place. The training was to take place at an abandoned facility outside Bamako, Mali, on the border of the south Saharan desert. My checked luggage never, ever, arrived. In that bag were 100% of my clothing (beyond what I was wearing on the plane) and all of the training materials that had been prepared for the trainees. Fortunately, I was able to borrow a couple of changes of clothes from other UNICEF staff, as well as personal supplies (sunblock, etc. ), and bought some t-shirts in the local market. We conducted a hands-on training and all ended up okay, but most of my favorite expedition clothing and my camera and my personal travel kit were lost forever. So, I should have learned from that experience… and for a while, I tried to live by that rule. Unfortunately, that often made my carry on bag a bit on the heavy side, and I do have chronic lower back problems, so I found myself relapsing into a check-the-maximum baggage mindset. Just a few years later, I was caught out again. I was sent on a mission to Dili, East Timor during that country’s process of independence from Indonesia via Darwin, Australia in 1999 on behalf of the U.S. Government. I arrived in Darwin after 36+ hours of coach middle-seats on full planes with less than an hour to run between connections in Los Angeles and Sydney. I made it. Needless to say, my checked bag was three days behind me. Being on such a long trip, I had carried on a couple of changes of clothing, but did not have the tropic-wear required of the 100+ degree heat of Darwin and Dili. A quick trip to the local surf shops in Darwin got me some t-shirts and shorts that I still like to wear to this day. Lesson learned again. Maybe for you the solution is to try to carry on everything you take with you on a flight. Personally, I find it annoying to watch people get on planes with enormous wheeled bags that take up an entire overhead compartment (which need to accommodate the bags for at least two or generally three persons each), plus a large “computer bag” plus a third tote or plastic bag – truly stretching the limits of what should be allowed on a flight. And all that baggage doesn’t include a good Swiss Army knife or multi-tool! Sometimes packing light enough to carry on only a small bag is possible but I find it challenging. Right now, I am on a flight to the Midwest where I will be for the next four days. I took a fairly large computer bag on wheels as my carry on bag. It has four large pockets on it, but it will still fit under the seat in front of me if it has to (and it had to on the small jet I took on my connecting flight). One pocket has a full change of clothing in it – including a pack towel and an empty bag (a Lands End folding backpack – it is always good to have a backpack with you on any extended trip away from home). One has my computer in it. One has reading material for the flight and files I need for this trip. The fourth has my iPod, power cords for computer & phone, pens, business cards, sunglasses & sunglass case, flashlight, and keys (including whistle, photon freedom flashlight, and Res-Q-Me [doh!]) and other small items. I also carry my passport with me when I travel domestically – as one never knows when one will be called voluntarily or involuntarily out of the country. My passport is also carried in a zippered pocket within my carry on bag. In general, it is always good to have a second form of picture ID carried with you when traveling by air – and carried in a separate location from your primary picture ID (generally a driver’s license carried in your wallet) – such that if your primary is lost, you will have another that will enable to continue your travels until you get home. Annoyingly, a lot of airlines are now charging extra for even a single checked bag. Boo! I prefer to fly always on direct flights – these are often cheaper – and usually not much more expensive than flights which require connections – and will get you to your destination a minimum of two hours – usually more – faster than a flight that requires one or more connections. Living in the New York City metropolitan area, I fortunately have an awful lot of choices where airlines and airports are concerned – and can usually find a cheap direct flight that goes where I want to go and when I want to go on an airline that does not charge for the first checked bag. [My favorite airline is JetBlue, in case you are wondering, which I take whenever possible. Four reasons: comfortable seats, clean planes, friendly staff and DirectTV at every seat. Beats the crap out of the major airlines which are more expensive, more uncomfortable, less friendly and with no free/no choice of entertainment (you know who you are)]. So, today, I am flying one of the major airlines, have a connection to make, and I had to pay $15 to check a single bag. While I am on this rant, I understand that airlines have real costs associated with handling baggage, and by charging for second or each bag that passengers check, they are passing these costs on to those passengers using those services, which certainly seems reasonable on one level. But just a couple of years ago, in part because of the stricter security screenings taking place at airports, airlines were actively encouraging passengers to check as much baggage as possible while only carrying on a single small bag. This greatly sped the process not only of getting through security screenings at airports, but also in getting on and off of airplanes. And that all made the process of flying so much more comfortable and reduced conflict between passengers, without overstuffed overhead compartments and bags consuming everyone’s foot-space, and it taking 20 minutes or more to deplane while everyone gathered all of their items. All I can say is: what happened? This was great. A checked bag carries all the things I’d like to have with me for the trip. This includes clothing, toiletries, my Swiss Army Knife, Res-Q-Me (heh heh hee! ), other tools as appropriate, and other obvious items. In August, I traveled to California for a week to take part in a disaster response exercise. I made a detailed inventory of everything I packed – both in my checked and carry on baggage. I was going to share it here but don’t think it really adds a lot to this discussion. In part 2, I’ll go over some of the specific items that you should be packing with you in your carry on and checked luggage, and that should be informative. I always intended to write a summary and concluding piece to the list of 10 things you should never leave home without. Coming a couple of months after the last post was written lends perspective to the exercise. The intent of this blog was always to validate that the advice given is practical. If I can’t practice what I preach, then I need to rethink again what it is I am recommending here. In addition, the perspective of the current “concern” over Influenza A – H1N1 (Swine Flu) and a change in season to Spring adds another valuable reality check. There is no question in my mind that an empty bag belongs on the list and at the top of it – alphabetical or not. I have struggled at times to remember to bring one with me. Honestly, the larger eco-totes that I recommended – like the Staples eco-easy tote, do not fold down to a size that fits in a pocket. You really need to have another bag to put an empty one in. The bag I mentioned in the original post but had not tried out yet – the Kiva Keychain Backpack – is really an excellent solution. It packs down to an incredibly small size (about half the size of my wallet) that fits in a (front) pants pocket easily. I try to carry one of these bags with me all the time in that way. When expanded, it forms a smallish backpack – certainly large enough to carry several items in an emergency, and the material (like parachute nylon) seems pretty strong and durable. The only issue I’ve had with it is that if you put some heavier items in it, the adjustable shoulder straps tend to slip, but there is no risk of it opening and the bag dropping as it is a closed loop strap. Maybe it’s just me, but I still find a reason to need a flashlight on a daily basis and I carry two Photon LED flashlights with me all the time – one on my keys and another on a chain around my neck. I’ve been using the newer Photon Freedom-style lights, and I like the push button on-off much better than the old style (either hold it down or flick a tiny toggle switch to keep it lighted). Honestly, the cheapest X-Light micro (at under $10) is sufficient. So I repeat my advice to get a bunch of these – and pass them around – attach one to your briefcase, regular backpack, go-bag, etc., give one or two to each family member. It will help you and them to be Living Prepared. Never leave home without them. And if I do, I always end up regretting it. The other day, I was getting out of my car; it was raining. I had a hat on, as I always do, with my sunglasses perched on the top, as they usually are when I’m not wearing them. A man walking his dog was passing by, and he paused as he looked at me to comment, “With the hat and the sunglasses, you are ready for anything.” Amen. Mindful of the fear of Influenza A – H1N1 (Swine Flu) many people have, protecting your eyes with glasses (sun or clear) or a eye shield can help prevent you from being infected by particulates spewed into the air by people close by who cough or sneeze in your general direction. I recently ordered some Eye Shields from LifeSecure Emergency Solutions to keep with my household emergency supplies. Keys. Enough said. Just try going out without them. I did figure out that two of the small lock keys actually fit the padlock on the cellar hatch outside the front of my house – so one of those has been returned to my keychain. Still attached to my hip. Still without a GPS. I think the GPS functionality that is available is useful, but expensive (both for a GPS-enabled Blackberry and for the service that gives it functionality), and I can’t justify it at the current time. Usually still attached to my hand – with tea in the morning, and increasingly a Klean Kanteen for water in the afternoon as the weather is getting warmer. (We had a mini-heat wave of several days in the high 80s/low 90s in April in NYC). It’s honestly hard to bring along sometimes without having a bag (not an empty one) to carry it in. My regular backpack I keep stocked with a number of useful items – such as a couple of pens, a folding knife with serrated blade, some Zyrtec (for allergies), and epi-pen (if the allergies get really bad), a larger LED flashlight. I put a glass case in it to carry whatever pair of glasses (sun or clear) I am not wearing. If I go out without this backpack, I still have my 10 items with me. My biggest problem with my double-walled, vacuum insulated Thermos hot drink container is that it does too good a job at keeping my tea hot. I like my hot drinks warm, not scalding, and it takes hours for my tea to cool enough such that I can enjoy it. When I have the opportunity, I leave the top off to let it cool down so I can drink it more quickly. On the plus side, this has cut down dramatically on my caffeine intake, which is probably a good thing. One reader recommended a different model – that’s a bit less expensive but still has all of the important survival tools. For me, I use all of the tools on the Swiss Army Champ – including the tweezers – which I’ve used twice in the last week to remove a splinter from my finger and my daughter’s foot. I even used the pin within the last week to help open up a bottle of Gorilla Glue that had crusted over. As noted in the original post, this is something you don’t use on a daily basis, and I’ve never used mine. I did have the opportunity to demonstrate the functions of the ResQMe that I carry on my keychain to two very nice gentlemen from the TSA at JFK Airport, just before I handed it over to them before getting on a flight to Florida a few weeks ago. I kind of had to tell them that they should be taking it away from me – both because of the seat-belt cutter blade, which although shielded, could be removed from the casing by breaking it open – thus weaponizing it – as well as for the glass breaker, which, although I am not sure it would break an airplane window pane, I would not want to try. So I was without a ResQMe while deathly ill from the Chicken Pox in Florida. I got another one out of my stock and have returned it to my keychain. Again, it goes without saying that you need to carry your wallet with you when you go out. What I need to report on is how I’ve done with keeping the $100 cash in it and not pilfer it when I run out. I must report positively that I’ve had great success. I positively have forgotten that I folded up 5 twenty dollar bills and slid it into a side slot behind the credit cards in my wallet – unless I’m thinking about this post. The credit cards, ID and proof of insurance are easy to maintain. Again, something I don’t use on a daily basis but am glad to have with me. Mostly, I wear it on a lanyard underneath a shirt – but if visible, it’s a good conversation starter. As pictures in the original post, I also use the neck lanyard to carry a Photon LED flashlight and a USB drive – which another reader also suggested carrying. My SanDisk Cruzer holds a ridiculous 16 GB of data. Honestly, the neck lanyard can be bulky either on top of or underneath a single layer T-shirt when the weather is hot. So I have honestly gone out from time to time without it. It’s an item that can be put in your briefcase, backpack or other bag that you carry things in (or the proposed “almost” empty bag alternative), and it also fits into a pants pocket. So while I try to wear it habitually – I must admit to forgetting it occasionally. For the digitally inclined and data dependent, a USB drive – the larger the better, is a good thing to carry with you. I carry one and will load it up with important files from time to time. More often, it’s used for exchanging data (photos, files) with someone. In an emergency situation, if you work with computers at all, having a USB drive with you could be extremely valuable. So if it fits your personal and professional profile, a USB drive is definitely something to consider adding to your list of things to never leave home without. I do like the SanDisk Cruzer because it contains software to allow you to install and run applications directly off of the drive rather than having to install it on the hard drive of a computer. So, for example, you can use your Skype account from any computer you can use and plug your drive into, if you have Skype installed on the USB drive. This probably should have been on the original list. Very useful for cleaning your hands while you are out – especially after riding on public transportation or before eating anything on the go. Also essential to have if you are out with kids. I usually have a bottle with a pump around the house, but decided to stock up a but because of H1N1. The 2-oz. bottle size is really convenient for taking with you and I got one for everyone in the family. The small bottles cost about a dollar at any drugstore and I plan to refill them from the larger (and more economical) bottles I have in the house – especially one big one by the front door so everyone can use it upon entering the house. When buying Hand Sanitizer, remember to always check the “drug facts” on the bottle to ensure that it contains at least 60% ethyl alcohol. 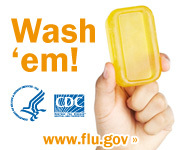 Any less and it will not be effective as an antiseptic. Another item inspired by H1N1, I think this item also belongs on the original list. Tissues are incredibly useful things, even if you or your kids do not have a cold. They can be used to wipe up things, or wipe off things that you don’t want to touch with your bare hands as they may be dirty or infected. (Use hand sanitizer afterward anyways). You can use tissues to dry or clean off your glasses if they get wet (though a glass cleaning cloth is better and won’t leave link on the lenses). Like water, or bags, tissues have hundreds of potential uses during times of emergency and normalcy. I feel pretty strongly about the original 10 items on this list… and now I’m up to 13 with the USB drive, hand sanitizer and pocket pack of tissues. I started out this project by stating that I didn’t like top 10 lists and I wasn’t going to be bound by a number; that it was a starting point and an important attempt to place some limit on a list that if it becomes exhaustive becomes less practical and less achievable. And making this practical and achievable is a key part of what I am trying to accomplish with this blog. I am still tracking a few challenges with the list. Mostly, it’s a lot of stuff to stuff into your pockets (keys, wallet, extra bag, hand sanitizer, tissues, flashlight) – especially in the warm weather – or wear around your neck (USB drive, flashlight, whistle), hang on your belt (smart phone, Swiss army knife), or hold in your hand (stainless steel drink container). A lot of this can be carried alternatively in a backpack, briefcase or other (not empty) bag that you carry with you. Many of us do carry such bags when we go out – but not every time. My concern is having these items on your person is that they are always with you – and never left at home. Changing the empty bag to a “mostly” empty bag – or empty of everything but these 12 or 13 items – may be a solution – as long as you always take this mostly empty bag with you. I will report in a couple of months on how I am addressing this challenge, and will reconsider again the list of items never to leave home without. In conclusion, I hope that these posts have proven useful to your own thinking about how you should be Living Prepared™. I am not so arrogant as to think that everyone has to follow my advice to the letter. I hope that you learn from my advice and my experience and make it your own. What is it: This is an interesting entry, as for me it is really for a single product – the ResQMe manufactured by NOV8 – a smaller version of their LifeHammer. And it really has no purpose or utility on a daily basis, outside of the peace of mind it will bring you. This little device will get you out of a car by doing two things: (1) slicing through your seat belt and (2) breaking a side window so you can get out of the vehicle. Chances are, you will never ever need to use a ResQMe, but if you do, you’d better have one with you – that works – and that is easily accessible. It’s pretty easy to use. I recommend testing the window breaker against a piece of scrap wood (if you don’t have access on a junkyard so you can try it out on real automotive glass) so you understand how it works and the force required to activate the spike. You should note a pretty noticeable hole in the wood. Be careful, as it will also put a pretty sizeable dent in your skin if you activate it against yourself or someone else. Victorinox makes a “Rescue Tool” – that includes a glass breaker and a seat belt cutter, as well as a locking blade and some other nifty features, but it doesn’t include everything I want out of my Swiss Army Knife/multi-tool (see previous entry). However, I’d love to be able to combine these two items (then you’d only have 9 items to bring with you) – but I have read that the Victorinox Rescue Tool is a sizeable item – not considered a “pocket knife” so may be better suited for a glove box or go bag. It may be an option for you based on your own requirements for a multi-tool. I’ll let you know after mine is delivered in a few days. There are also a couple of models manufactured by Swiss Tech, for more money than the ResQMe, but the consumer reviews I have read about it on Amazon.com makes me want to steer clear of this ResQMe imitator. And even if the Rescue Tool works out, there is no reason not to get a ResQMe for your keychain as well. Redundancy is good. And remembering that for items that you should never leave home without, they should be easily carried. The ResQMe is keychain sized, and for me that makes it easy to carry and impossible to leave home without. Utility on a Daily Basis: Not really. Carried on a keychain, it can serve as the keychain itself. But other than that, it doesn’t serve much purpose unless you find yourself needing to cut a lot of straps. For the purpose it may serve you after an accident, however, I believe it is worth carrying with you at all times. Personal Report – Is Mark Living Prepared™? Yes. I carry a ResQMe as a part of my keychain. You will note it in blue in my posting about keys. It is always with me. Criticality after a disaster: Most of the people who are fanatical about this product – including the manufacturers – are worried about being in a car that falls off a bridge or otherwise into the ocean or a river, or is caught in a flash flood. And sure, it works for that and there are some cool videos on the ResQMe website with rescue workers using this tool to break windows on a submerged schoolbus. That certainly pulls all the right heartstrings. But for me, I think it just as likely to be needed in the event of a more conventional vehicular accident, where damage to the vehicle prevents you from unfastening your seatbelt and with the risk of fire – FIRE – making you want to make a quick exit from the vehicle. As you will note from the video – after breaking the window, you will likely need to remove the broken glass, which if you don’t have anything to protect your hands, might lead to some cuts, but if you need to get out of the car quickly, that’s a small price to pay. The LifeHammer serves the same purpose as the ResQMe – it has a seatbelt cutter and a hammer designed to break automotive side window glass. (Windshields are coated with a coating that prevents them from shattering – thus never try to get out of a car that way – use the side or rear windows. This is where the Victorinox Rescue Tool – with its glass saw – may have a place). But a LifeHammer is too large to carry around with you everywhere. Keep one in the glove box or other easily accessible storage compartment reachable from the driver’s seat. Again, redundancy is a very good thing, especially in an emergency. You may be travelling in someone else’s car, a taxi, or may be unable to open the glove box. So having a ResQMe on your keychain improves the chances that you’ll have this lifesaving device when you need it. The ResQMe comes in two- and three-packs and costs under $10 each. Pick up a bunch and give them to everyone in your family and others that you care about. They make great gifts. So, carry a ResQMe Vehicle Escape Tool with you. If you do, you will be Living Prepared™. What is it: A Swiss Army Knife is a pocket-sized knife with multiple tools that are stored inside its handle. This entry should probably rather be for a “multi-tool” which is a more generic description, as “Swiss Army Knife” is almost a name-brand; the official “Swiss Army” brands are produced by either Wenger or Victorinox. Multi-tools such as those manufactured by Leatherman, Gerber, Spyderco, and others are totally acceptable alternatives for the purposes of this discussion. A Swiss Army knife or multi-tool gives you the basic ability to fix and open a wide variety of things, without having to carry a tool box or tool belt around with you. I’ve found hundreds of daily uses for mine and I don’t think they are only for techno-geeks who run around fixing things all the time. I am now carrying a Victorinox Swiss Champ after years of having a Leatherman on my belt. Having the almost full-sized pliers that the Leatherman-style multi-tools provide was attractive when they first came out and I got my first Leatherman. But I must admit that I love the Swiss Champ; I use it every day and couldn’t live without it anymore. I will go into all the tools it has and how I’ve found them useful on a daily basis below. The Swiss Champ has about 20 stainless steel “blades” (plus a few plastic ones) and more than that number of uses. As I count them, the tools include a (1) small knife blade; (2) a large knife blade; (3) metal saw with (4) metal file, (5) nail cleaner and (6) nail file; (7) wood saw; (8) fish scaler with (9) fish hook disgorger and (10) ruler (metric and English); (11) scissors; (12) pliers with (13) wire cutter and (14) wire crimping tool; (15) magnifying glass; (16) Phillips head screwdriver; (17) bottle opener with (18) large flat-head screwdriver and (19) wire stripper; (20) can opener with (21) small flat-head screwdriver; (22) reamer with (23) sewing eye; (24) hook; (25) fine flat-head screwdriver; (26) wood chisel; (27) corkscrew; (28) mini screwdriver; (29) tweezers; (30) plastic toothpick; (31) ballpoint pen; (32) key ring (lanyard ring) and finally a (33) pin – which I just found after looking for it for hours (it is stored within red plastic casing underneath the corkscrew). Most of these tools are really useful as designed. The pliers on the Swiss Champ are good only for holding in place small things – you can’t really put any torque into them to open a stuck bolt (as you can with a Leatherman). I wouldn’t want to try to start a fire with the sun and the tiny magnifying glass on the Swiss Champ, but maybe I’ll try this Spring and see if it is even possible! And if anyone can tell me how you can sew anything with the sewing eye, I would appreciate that! I also got a belt-pouch for my Swiss Champ, which came with a honing steel, which seems a convenience if you nick up your blade when using it somewhere. I have a more professional knife and blade sharpener in my emergency kit. With my smartphone on one side and my Swiss Army knife on the other, I’ve got some extra bulk to carry on the belt. But I find that these are both small enough to not show underneath a sport coat or suit jacket. Coatless, the look may not work for you as well, but for me, it is a part of Living Prepared™, and being a practitioner, I can get away with it. For others, your attaché, backpack, or computer bag may be a good place to carry your Swiss Army knife/multi-tool. Utility on a Daily Basis: I use my Swiss Army knife on a daily basis; as I’ve said, so much so that I can’t imagine living without it anymore. Just this morning, I used the scissors to cut the tag off a stuffed animal for my daughter – she hates tags on anything and I am constantly removing them from clothes and toys for her. Yesterday, I recall using the small knife blade to cut open two boxes that had been delivered to the house. I use the scissors, knife blades, and screwdrivers constantly, but have found uses for most of the other tools as well. In December, I used the wood saw to remove some lower limbs from the Christmas tree we had bought such that it would better fit into the tree stand. I’ve used the hook to pull an elastic waistband tie on a pair of pajamas that had retracted into the waist. I also used the hook once to reconnect something else that I thought would never go back together. (I honestly never thought I would use the hook but now find it has a ton of uses). I have used the ballpoint pen to open a locked bathroom door; I have used the ruler to measure things; I used the magnifying glass last week to get the serial numbers off of a watch that needed repair under warrantee; I have used the tweezers to pull a splinter out of my foot; I have even used the toothpick to get some food out of my teeth. And of course, the corkscrew has been used to open a bottle of wine or two when I couldn’t put my hands on one in the kitchen. Certainly, most of these tools are often within easy reach in most people’s kitchen drawer or somewhere else in the house, but to have them all conveniently located in one tool, in one place (on my belt), is invaluable to me. I think once you get used to carrying one around with you, you’ll agree with me. Personal Report – Is Mark Living Prepared™? Yes. I do try. I must admit to leaving my Swiss Army Knife home just last week as I was off to see the Sam Roberts Band play at the Bowery Ballroom and didn’t know whether they screened for anything that could be construed as a weapon like the airlines do. They didn’t, but I left it home anyway that night. When traveling by air, you can carry these multi-tools in your checked luggage but not on your person or carry-on bags, so for those traveling and bringing only carry-on luggage, we’ll need to find you a DHS-approved alternative. Criticality after a disaster: The all-around utility of a Swiss Army knife or multi-tool is pretty obvious in the aftermath of a disaster. But let me tell you about functions that were critical for me to have included in my tool, which led me to the Swiss Champ. Most of all, I wanted a decent wood saw/serrated blade. I wanted to be able to cut through the limb of a tree (a small one, anyway), or a plywood wall, if I had to. Picture being trapped somewhere due to a building collapse, tree falling on the house, or other accident – and without carrying around the jaws of life with me, I wanted to have the ability – even if on a limited basis – to cut through something. Similarly, the metal saw is pretty valuable to be able to do some limited cutting of metal conduit or pipes. For getting at nutrition, a can opener, especially, is an essential piece of emergency gear and you’ll always have one with you if you carry a Swiss Army knife. I recommend practicing opening actual cans with it from time to time, as it can be a bit trickier than standard kitchen tools to work your way around the lid successfully. A bottle opener falls into the same category here (as does the corkscrew for me). Of course, a sharp blade is useful for cutting through many things, though this is not a serious knife. A locking blade is essential if you are to do any serious cutting with a knife, to avoid really messy accidents involving the loss of fingers or parts of fingers or sizeable chunks of fingers (accompanied by a lot of bleeding). A Swiss Army knife blade is really good at cutting open boxes fastened with tape, string, or plastic bindings and that’s its primary purpose for me. One thing I have learned that after disasters, whether you are responding to them or just surviving them, you are going to be opening a lot of boxes. It’s an emergency, which by definition means that you are going to be reacting in ways and doing things and needing things which are not in daily use, in quantities that are not normal. So those things that you need are going to be packaged in some fashion – whether it is emergency rations you store in your own basement, or relief supplies donated by the Red Cross to the shelter where you find yourself staying and/or volunteering. You are going to need to open those packages and a Swiss Army knife excels at this task. I’ve also sterilized the blades and used them to dig out deeply embedded splinters, but I wouldn’t want to gut a fish with it. I also suppose that someone trained to do so could use a Swiss Army knife to perform a tracheotomy or other minor surgery in an emergency as we see on TV – but I am not trained to do so, so do not plan to use mine in this way; I also don’t plan to use the wood saw to cut my own leg off at the ankle if chained to a water pipe by some maniacal killer or otherwise perform amputations – but who knows? Larger and longer serrated knives are an essential piece of emergency equipment more appropriate to all of these and many other tasks but these are better stored in your go bag or household emergency kit. You don’t need to carry such a knife on a daily basis and never leave home without it. (For me, this falls into the category of: if you need to carry a 7-inch serrated knife with you whenever you leave home, maybe you should consider moving somewhere else; same is true for weapons of any sort). Finally, I wouldn’t want to be without a Phillips head and a flat head screwdriver… ever. Things break, and access hatches to places where things break are often, if not usually, fastened with screws of some sort – whether it is something as simple as a light switch or as complex as a generator; the battery compartment of a kids’ toy or a radio. I use the screwdrivers on my Swiss Champ more than any other tool on a daily basis; I can’t imagine it would be any different following a disaster. There are a lot of great Swiss Army knife and multi-tool models out there – even ones geared towards the techno-geeks with lots of micro-tools for working on electronic devices. My advice is to get one that is going to be useful to you to use but has the essentials that you are going to need after a disaster. The bottom line is that you’re going to be able to get at things better with the proper tools and if you carry a Swiss Army knife or multi-tool, chances are you will have the right tool with you. So, carry a Swiss Army Knife with you. If you do, you will be Living Prepared™.